The Twin in Berlin: There Is No Other Place Where I Would Rather Be Than The Streets O' Leipzig. There Is No Other Place Where I Would Rather Be Than The Streets O' Leipzig. HAPPY BIRTHDAY MOMMMA!!!! I know it is not until Wednesday and Germans usually don't say anything before the actual day, buuuuuut I won't talk until next week so I shall say it now!!!! LOOOOOOVE YOUUUUUUU. Hope you have fun in Idaho and Utah!!!!! That will be way fun. YOUNG FOREVER!!!!!! Sooooooo this week was really cool, I enjoyed this week. Sister Reed is doing well. I really love serving here with her. She is really funny and we laugh about the same things, which is always fun. She is a straightforward type of gal, (I think anyone is after serving in Germany for a while :) ) and it's good. I love her!!!! Hope we can stay together another transfer!!!! So we have not heard ANYTHING from Lou, I repeat: we have heard nooothing. Tis sad, I know, but life goes on. It was a good run while it lasted. She made lots of progress and our conversations of faith and God's love were very sincere. Even though she did not get baptized (yet) I know that all of our efforts were helpful and strengthened her. And that's what it's all about. SOMEDAY she will be ready. We met with Holger, He bought cookies for us. HE IS SO COOL. His voice is so deep and his accent is sooo thick I looooove it!!!! Turns out his friend who came to church a few weeks ago wants to come to our meetings as well. woohooo!! Hopefully this week he will join us. So we talked more deeply about the principles of the Gospel of Jesus Christ with Holger. He really just needs to feel the confirmation of the spirit telling him that EVEN HE needs to get baptized. For him, he already shows God he loves Him by praying and keeping the commandments, he doesn't need to go under the water to "prove" anything. Oh man it's hard not to just say "Well, you know what Holger, it's not what we want is it, it's what God wants!" meeeeeeenschenkinder!!!! Psalm 40:8 comes to mind (a good life motto) " I delight to do thy will, O my God, thy law is within my heart." Even if we don't understand fully the WHY behind everything, we should do it first out of love to God. I know that we can trust our Father in Heaven, I know that everything He asks of us is for our good. We should just do whatever He asks of us, because we love Him. Anyway, Elder Clarke had told us that they were planning on taking a few people to the temple (President Fingerle allows us to take investigators/less active members, etc to the Freiberg Temple, although it is closed, to see it and to have a little lesson with the missionaries there, waaaay cooool!) and invited us to invite anyone to come with: SO we invited Holger and he said YES!!!!! WE ARE GOING TO THE TEMPLE!!!!! I am so so so beyond excited!!! On Saturday. It has been a whole year since I have been to a temple!!!!!!! What a blessing. I hope and pray that the special spirit there will touch Holger's heart. mal schauen!! Best thing of the week was my interview with Präsident Fingerle! Such a stud. IT WAS ALL IN GERMAN. What a riot that was!! I loved it!! haha we were some of the last on that day so my interview was not until 21 or so! We just asked a few questions to each other, everything he said was very thoughtful and helpful, things I had not yet thought about. He offered to give everyone a blessing at the end, and that was very cool as well! In my blessing there were four points THAT EXACTLY WERE WHAT I NEEDED TO HEAR. I know that President Fingerle is one called by God to lead us in this mission. I love him and and I am grateful to serve with him. TRANSFER CALLS ARE SATURDAY. It is possible that I stay or go. I keep going back and fourth with how I feel. I would looove to stay another transfer so I can stay with Sister Reed and Elder Clarke. I will tell you in a week! yea, he trieth their patience and their faith. Even when we are being righteous the Lord will continually prove us. We live for a pretty long time on the earth. That is because the Lord will put us through many trials. Sometimes when bad times come we think, noooo whyyyy, what have I done? But just like it says, NEVERTHELESS (no matter how we live) the Lord will test us. Over and over again. He has shown us here in the scriptures that that is His plan, so it should be no surprise. So instead of getting doubtful or frustrated when yet another trial or hard time comes, let us rejoice and take notice that the teachings and promises of the Book of Mormon are coming to pass in our lives! I love you and hope you have a lovely week! 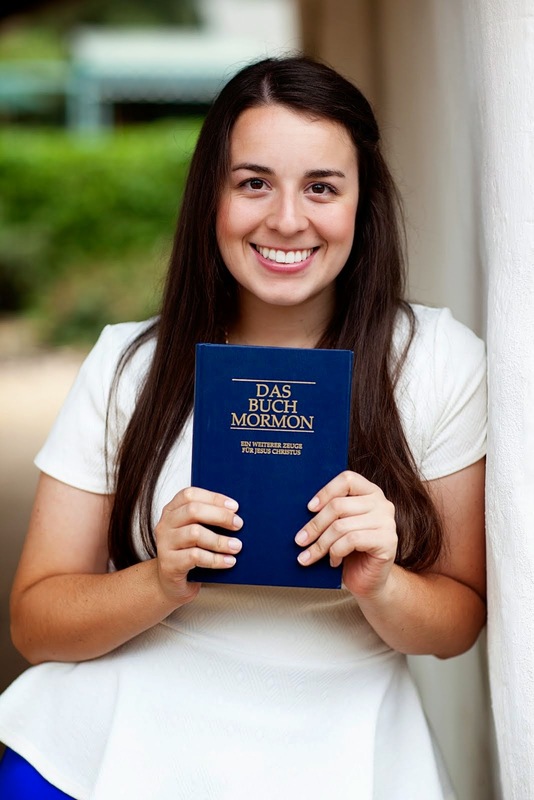 I love my Savior and I love serving here in Germany. There is no other place where I would rather be than the streets o' Leipzig.